It was in king William’s councils that it was first determined to print, by authority, the public conventions of Great Britain with other powers; and Mr. Rymer being selected as the editor, a warrant, empowering him to search the public repositories for this great design, was granted Aug. 26, 1693. 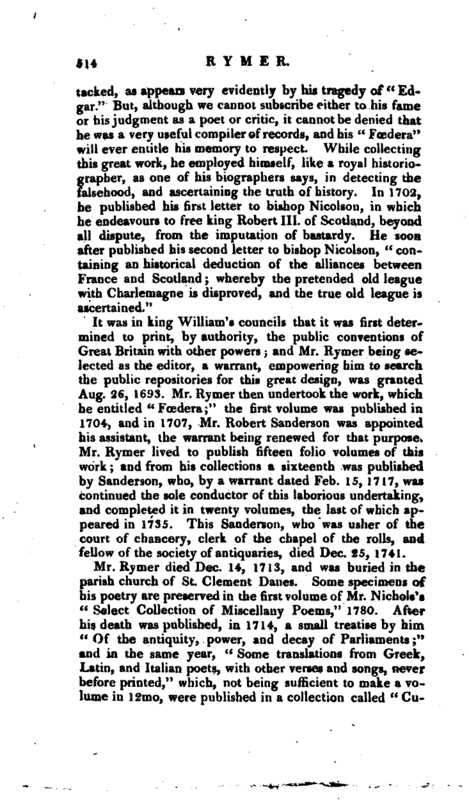 Mr. Rymer then undertook the work, which he entitled “Fœdera;” the first volume was published in 1704, and in 1707, Mr. Robert Sanderson was appointed his assistant, the warrant being renewed for that purpose. Mr. Rymer lived to publish fifteen folio volumes of this work and from his collections a sixteenth was published by Sanderson, who, by a warrant dated Feb. 15, 1717, was continued the sole conductor of this laborious undertaking, and completed it in twenty volumes, the last of which appeared in 1735. This Sanderson, who was usher of the court of chancery, clerk of the chapel of the rolls, and fellow of the society of antiquaries, died Dec. 25, 1741. Nichols’s Poems and Bowyer. Chalmers’s Collection of Treaties. Nicolon’s Hist. Library. Censura Literaria, vol. 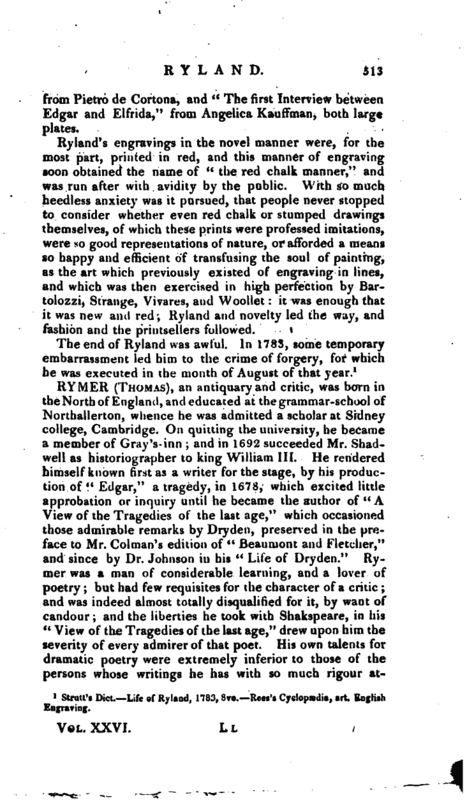 I. Malone’s Dryden, vol. II. p. 301. 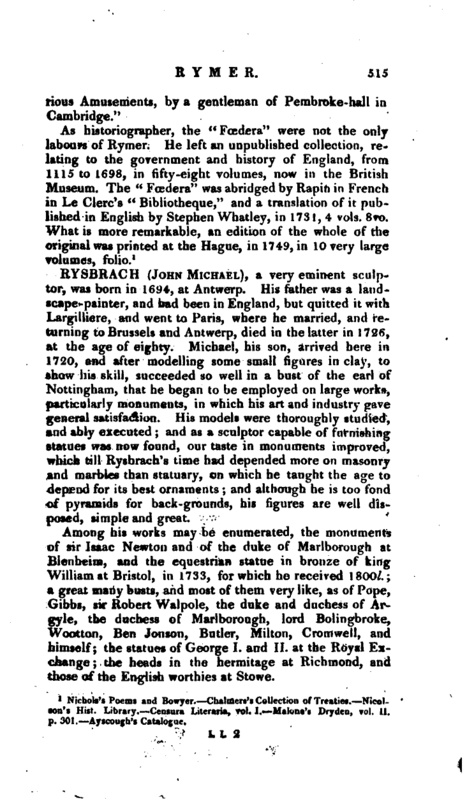 Ayscough’s Catalogue.